Our church offers many opportunities to worship and give thanks to God. There is a place for you, no matter what your age or ability. If you are new to the area or to Chambers Hill United Methodist Church, joining a performing music group is an excellent starting point to meet others and get involved within our larger church family. While reading music is helpful, it is certainly not required! We are proud of our music program, and we are eager for you to join us! 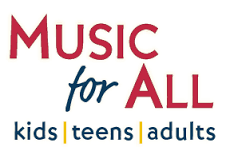 Contact Lauren Forgas regarding details of the musical opportunities awaiting you and your family. Children in grades 4-8 are welcome to participate in making music by playing tone chimes. We learn to read music and prepare songs for a monthly performance in worship. Rehearsals: Sunday’s 10:50-11:20am in the lower level music room at the end of Sunday school. Contact Lauren at musicministry@chambershillumc.org for more information! Children ages 3 through 5th grade are invited to participate in the children’s choir and also the children’s bell choir. Children enjoying learning new praise songs to share with the congregations once a month. Rehearsals: Sunday’s from 10:00 am to 10:15am. A small group of talented adult bell ringers that read and perform challenging hand bell music for performances during worship. Contact Dori at doriarms@comcast.net for more information! The adult handbell choir is made up of adult ringers of all ages gathering to play music in preparation for monthly performances during worship. Adults of all ages come together for singing and fellowship as we prepare music for regular performances during worship. We welcome new singers all year long. Throughout the year, a variety of music ensembles are formed for special occasions such as patriotic holidays, Easter, Christmas and more. These ensembles are made up of children that are learning an instrument in their schools music program in addition to adults who are life long lovers of music. We are always welcoming new talent!